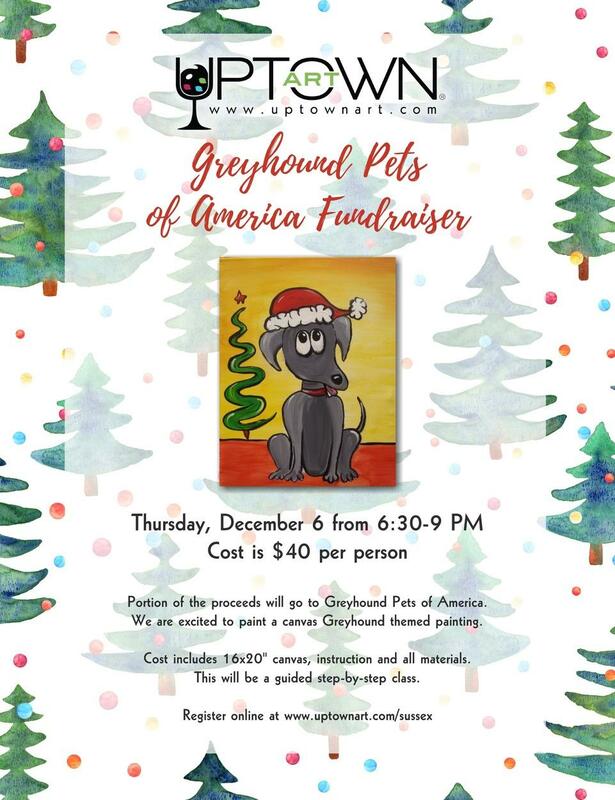 Want to paint a greyhound-themed painting on canvas with fellow hound lovers? 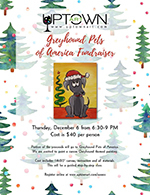 Uptown Art and GPA-WI have teamed up for the Paint a Greyhound wine and paint fundraiser in Sussex on December 6! 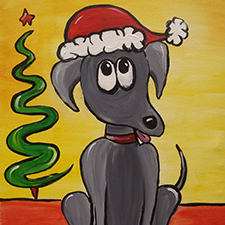 The $40/per person fee includes a 16×20″ canvas, instruction and all materials. This will be a guided step-by-step class. Beginners are welcome!